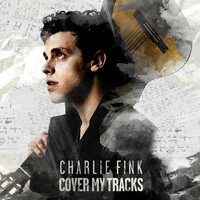 Since disbanding Noah and the Whale, frontman Charlie Fink has carved himself an acclaimed sideline in writing for theatre, culminating in developing and performing a play for The Young Vic, with an accompanying album. Here he discusses the inspirations and challenges involved in his multi-disciplinary arts project, Cover My Tracks. 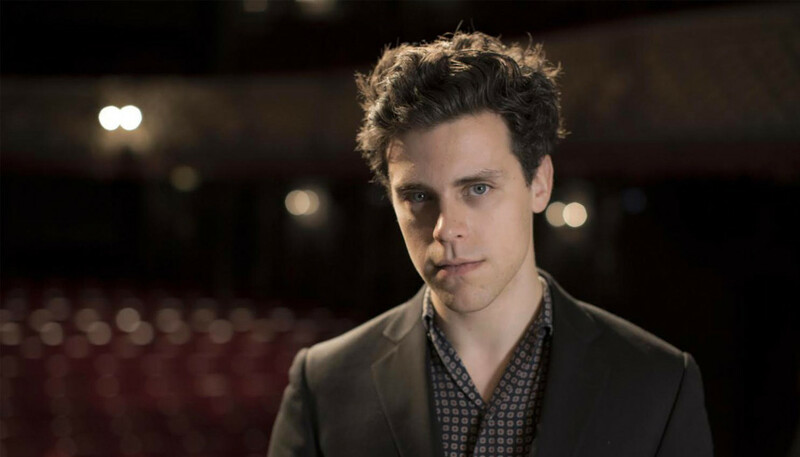 Can you tell us about the circumstances around Noah and the Whale disbanding? I definitely think I felt I needed a break. We’d had 10 years together, four albums and it had been pretty intense: write a record, tour a record, write a record, tour a record etc. I guess I just felt like I needed a new challenge. I still really like the guys and enjoy working with them, so I think if the right songs came then I definitely wouldn’t say no. I see performing live as the tax I have to pay to allow myself to write. Having spent a decade – and pretty much all of your 20s – in Noah and the Whale, it must have been a huge deal to call time on the project. How did that impact on you? Well it was quite scary. I think it would be the same for anyone who had had the same job for 10 years and was then faced with a blank canvas, you know? But I guess I got quite fortunate in that when I was trying to figure out what I wanted to do, The Old Vic wrote to me and asked if I would write some songs for a show they were doing called ‘The Lorax’. Theatre wasn’t something that I had worked in before, but then it seemed like the perfect thing; an opportunity to keep writing but in a different way and to not have to perform. I was very fortunate. And now you’ve created a new album and theatre project, Cover My Tracks. What was your thinking behind it? One of the things that I was thinking about after finishing ‘The Lorax’ was how much I loved making it and loved working in a theatre, in terms of the people I was working with and the level of collaboration we had. So I was thinking it would be exciting to develop an album in the same way as we’d developed this show. And also I think we live in this strange time where there’s just so much stuff. (Laughs) You know, we have a phone in our pocket that’s the most entertaining thing that’s ever existed and contains every song ever written, and I think it does make you think how can you add something to that, that feels different, and doesn’t just feel like the same thing of another album, another tour. Theatre felt like the way to go. How did you find the experience of writing to a narrative? I loved it. I thought it was really inspiring to develop an album with the emphasis is on telling a story, and making that all the things it needs to be. The emphasis is always “Are we telling the story clearly and is this interesting?” so that’s quite different to making an album for a standard commercial release. Can you tell us about the personnel involved in this project? So David Greig wrote the script, and Max Webster directed it and it stars me and a girl called Jade Anouka. Me, Max and David all worked on ‘The Lorax’ together and then Jade came into the project. For the benefit of anyone who hasn’t seen the production, can you recap the plot? So the story is about two people who meet and fall in love and form a band. One of them disappears and the story is mostly about the person who’s been left behind searching to find the person who’s disappeared, and finds a notebook of their songs. And those songs give her some insight into why they disappeared and where they might be. I came up with the basic idea and through conversations with the writer and director we developed the story together, and then eventually the writer took it in a magical direction and added a lot of very smart layers. Is there any element of autobiography in it? Definitely. I think there’s elements of me in the character we’ve created and I think that’s something we always thought would be fun. I think there are a lot of similarities between us but I think there are also some quite stark differences. It’s quite a post-modern trope that happens in TV particularly, like in ‘Curb Your Enthusiasm’ where you have a character who’s playing themselves but it’s a character of that person, and not really who they are. Musically, what was the brief? I think the main thing was about storytelling. This album is definitely the album I’m most proud of lyrically, and the lyrics were something I took a lot of time over and really tried to craft to make sure they were telling a story. And then when it came to filling out the sound of the record, I was really just trying to make something beautiful. I got lucky and worked with some really amazing people, including Trey Pollard, who does the string arrangements on this album, who is part of Spacebomb Studios in Virginia. They did the Natalie Prass album and the Matthew E. White record. I think the people who inspired me were the people who always inspire me, really: classic American and Canadian songwriters like Leonard Cohen, Bob Dylan and Lou Reed. What have you learned from this project in particular? A lot. One of the things I started to learn about is really that there’s an element of mystery with songwriting. I think there’s a Leonard Cohen quotation along the lines of, being a songwriter is a bit like a nun in that you’re married to a mystery. And I think that’s true but I realise now that what I find the largest part of songwriting is, is correcting mistakes, essentially; so, starting out with something and then chiselling away at it and correcting the mistakes until it’s somewhere closer to what you first hoped it might be. That’s just a process I really enjoy. I think the challenge was how do we make an album that feels both in itself interesting and yet also works in the theatre context. The usual way that works is that someone gets so emotional that they break into song, which is obviously not what we’re doing. I think the fact it was a story built around a songwriter allowed us to make songs feel more natural. There’s a slight difference between the songs as they appear on the album and as they appear in the show, and we’re in talks about creating a version of the album that includes the text of the show, like an audio book/album crossover. So you will be able to hear and understand the story and see how that affects your understanding of the song. How has your run at The Old Vic been? It’s been really good. I was very nervous about it, as a very new challenge for me in terms of acting, plus the first time I’d performed in four years. But yeah, I’ve thoroughly enjoyed it and it’s such an inspiring space to perform in. I’m really excited about taking the production on the road now. So we’re off to Latitude Festival and Galway Festival and some other UK dates. Do you usually get nervous performing, or was this purely because of the new discipline and the fact you’d not done it in a while. I think both. (Laughs) Of all the things I do, writing is the thing I most enjoy and I see performing live as the tax I have to pay to allow myself to write. (Laughs) I mean, there was nobody holding a gun to my head saying, “You have to perform again,” when I left the band. I could have very easily stopped performing. So obviously to some extent I’m drawn to it in some way. But I know a few people who view performing as what allows you to write and write how you want. Performing feels like a necessary things to do, and there are things that are really pleasurable about it and things that are really scary about it. Cover My Tracks is such an ambitious project – are you someone who likes to challenge yourself? I know, I do sometimes wonder why I make my life so difficult. (Laughs) No, I definitely think that even with the Noah and the Whale stuff I felt like we made four quite different albums. I find it very difficult to engage with something unless I’m really excited by it, and I’m generally not excited by things where I feel like I’m repeating myself or doing the same old thing. For me to have real drive about a project I have to feel challenged in some way. But then yeah I’ve got another couple of theatre projects that I’m writing for at the moment and then we’ll have to wait to see... But as someone who’s interested in storytelling I think theatre really is the ultimate form of storytelling. It’s the most challenging and the most visceral. And there are a lot of really smart, talented people working in theatre and it’s a great pleasure to work with them.